In order to serve you best, I offer my undivided personalized strategic attention for 60 minutes, so you on how I can help inspire and empower your business and life. Optimize Your Business Potentials: Success Trajectory & Business Acumen to make IMPACT. Discern: How to carefully choose partners, colleagues and team members. Prioritize: Internal guidance for business decisions. Communicate: Your innate truth creates effortless abundance. Discover: the ONE thing everybody has in common that is blocking them from making 6-7 figures. 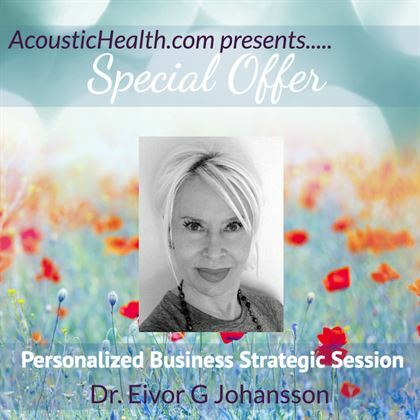 What People Have to Say About Dr. Eivor G. Johansson.